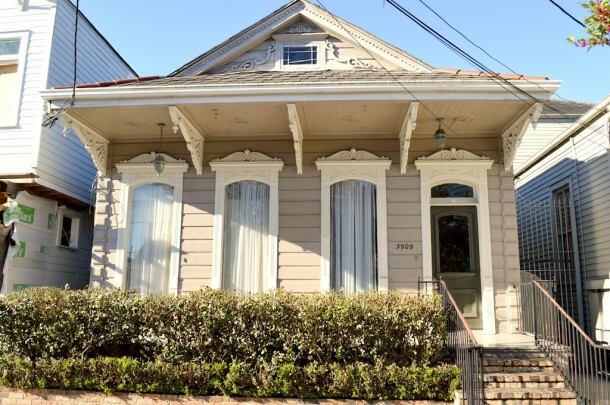 Ben Jacobson and Casey Burka are marketing a former double shotgun that has been combined into a single tenant, free flowing retail/office space at 3909 Magazine St. in Uptown New Orleans. The building has architectural details throughout including fire place mantles, original wood flooring (currently covered by carpet), window cornices, and ornate brackets and window frames. Ceilings are 11′ high. There is 1 bathroom in the space and 1,000 SF of upstairs storage (not included in square footage). This stretch has the highest concentration of antique, furniture, and interior design shops on Magazine Street and has also recently seen an abundance of new restaurants open. Other nearby retailers include Billy Reid, Pure Barre, Orient Express, Mignon Faget, as well as national retailers Sherwin Williams and Popeye’s. Parking on this stretch of magazine is not metered. Space is available now. Please call Ben or Casey at 504.581.5005 to learn more about this great opportunity.